It’s time for a catwalk revolution. But why cats? And why are they walking? I want to see a dogdive. A rhinolunge. The catwalk is worn-down, in need of a good scrub. I’m seeing out-of-season clothes being paraded in the same four cities year-in, year-out. This is the high fashion industry. We’re supposed to be innovators, yet we’re stuck in the past. Why are we so averse to change, and what are we doing to disrupt this vehemently archaic system? Things were looking up in early 2016, with announcements from Tom Ford, Burberry, Tommy Hilfiger and Ralph Lauren that they would be delivering ‘see-now buy-now’ services, making their lines available for purchase directly after their Fashion Week shows. British brand Burberry went one step further, introducing two ‘seasonless’ collections – one in September and another in February, removing all seasonal links – rather than the usual four shows split over menswear and womenswear. It looked like we were finally seeing change in the industry. After experiencing serious logistical issues, Tom Ford’s ‘see-now buy-now’ AW16 collection arrived in-store in July but was kept off the shop floor until after the September show, effectively losing a month’s sales. 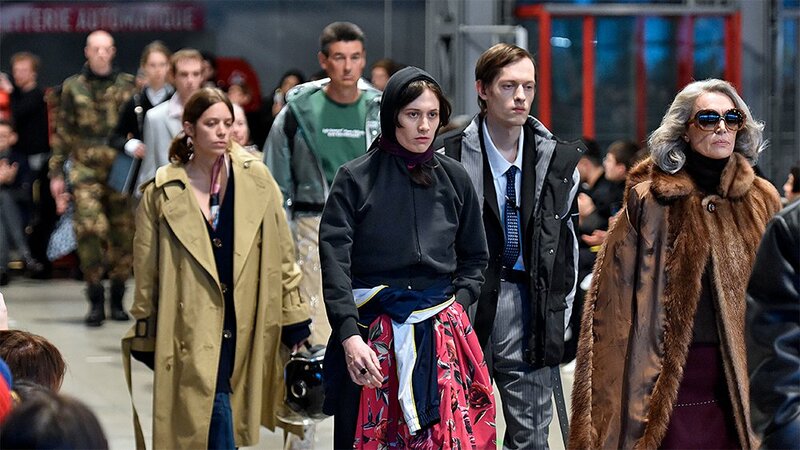 However, luxury streetwear brand VETEMENTS went completely off-schedule, showing its AW17 men’s and womenswear collections this January rather than the traditional mid-February/March dates. VETEMENTS’ SS18 collection is expected in June, right between the seasonal men’s shows and women’s couture shows. So maybe everyone should take a leaf out of VETEMENTS’ book. Brands were eager to hop on the ‘see-now buy-now’ train because it was new, it was exciting, it was covered in sparkles. But you’ve got to do something with it. We saw it when apps became a ‘thing’ – every business got an app and half of them had no idea what they were for. The same has happened with ‘see-now buy-now’, where industry biggies like the aforesaid Tom Ford have abandoned the model following an initial trial. Everyone wants to be a pioneer without putting in the hard graft, and that’s where VETEMENTS is doing things right. There’s a gap in the market when Fashion Week isn’t on. Adapt. Experiment. There’s no definitive answer to making ‘see-now buy-now’ work efficiently, and VETEMENTS’ gamble ripping it from the confines of Fashion Week seems like a decent first step. The concept of gender norm is also something I want to tear apart on the runway. Because on paper, merging menswear and womenswear is a brilliant idea. First of all, men and women walk together in the street – that is where these clothes end up. We need to see how they’ll work in tandem. Secondly, it should push creativity further and, in theory, it gives brands time to experiment, free from the constant showboating Fashion Week’s schedule enforces. You can dabble in the wonderful androgynous boom that’s exploded over the catwalk in the past few years. You can focus on street style and Instagram trends, because that’s where influencers are strutting their stuff and changing the game. London, New York, Milan and Paris aren’t the be-all and end-all of anything with a label. Yet the original impulse behind the move towards merging – that of subverting expectations – isn’t being achieved, nor are the collections truly genderless. Another issue is that womenswear collections seem to be more mature and age-restrictive than their menswear counterparts, and the difference is stark when they share the same runway. Kenzo’s AW17 collection, for example, wasn’t really genderless as advertised – menswear preceded womenswear, rather than a blended display of the two. While both collections were inspired by surfers braving Arctic waters, the womenswear was much more elaborate, combining drawstring waists, dropped shoulders and variations on volume. Kenzo’s menswear was just, well, half-finished and without any big bang. If merging collections, changing the Fashion Week timeline and moving into see-now buy-now seems too much, perhaps the addition of one more major city to the calendar could help push things forward. Incorporating a fifth week could become a buzzworthy event, seeing cities bidding for the opportunity, helping to break the mould of the big four. Just imagine the buzz as the fashion world learns each year which city will be the fifth location. The boost to the economy for that city, the chance to back emerging markets and do something different. The possibilities are endless. But is the fashion world ready for this level of shake-up? It’s already had a start. Ashley Graham recently became the first plus-size model to appear on the British and American editions of Vogue, while Khloe Kardashian and Emma Grede’s Good American jeans cater to curvy women. We seem to be experiencing a celebration of all body sizes, big and small, but can it ever truly translate to high fashion and couture? The fashion world is disrupting itself and that’s great. It’s keeping things from going stale.  But it’s still lagging behind in comparison to other industries, as they have had to either reinvent themselves or snuff it. Well-established fashion brands are still hugely resistant to change, with many citing social media as the death of exclusivity and luxury. But it’s not. It’s the beginning.